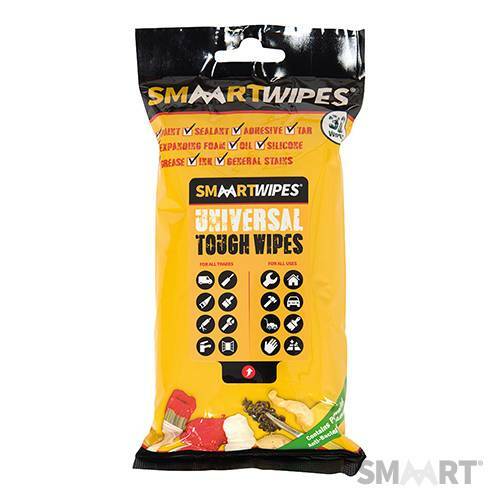 Universal Tough Wipes 30pkBigger and tougher than regular wipes for shifting mess and spills around the home, workshop and garden. Easily removes paint, tar, ink, adhesives, PU foams, caulks, silicone, duct tape residue and pet mess. Strong degreasing action against grease and oil. Tough and flexible for harsh environments. Independently tested anti-bacterial action to BS EN 1276:2009. Gentle to skin - contains lanolin, aloe vera and vitamin E. Environmentally friendly.